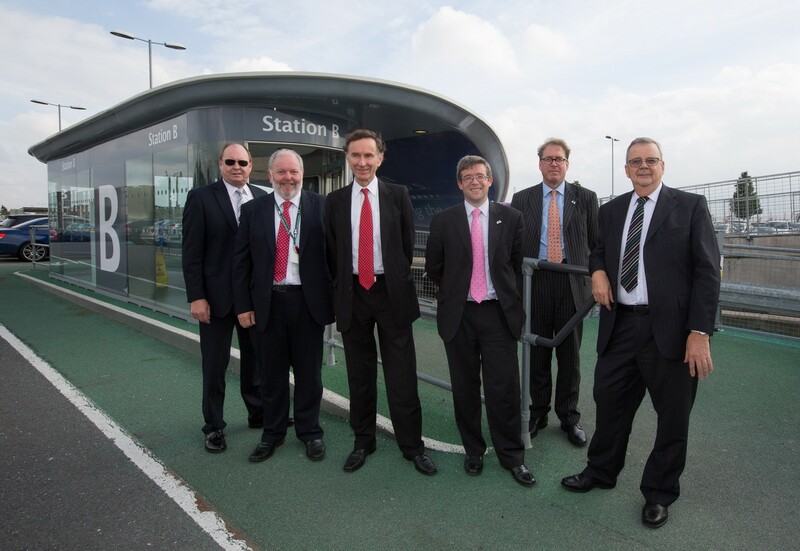 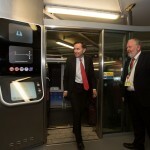 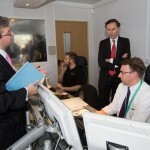 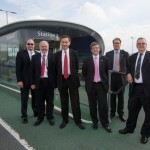 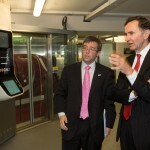 Ultra Global were recently delighted to host Lord Green, Minister of State for Trade and Investment as he visited the company’s Heathrow pod personal rapid transit (PRT) system. 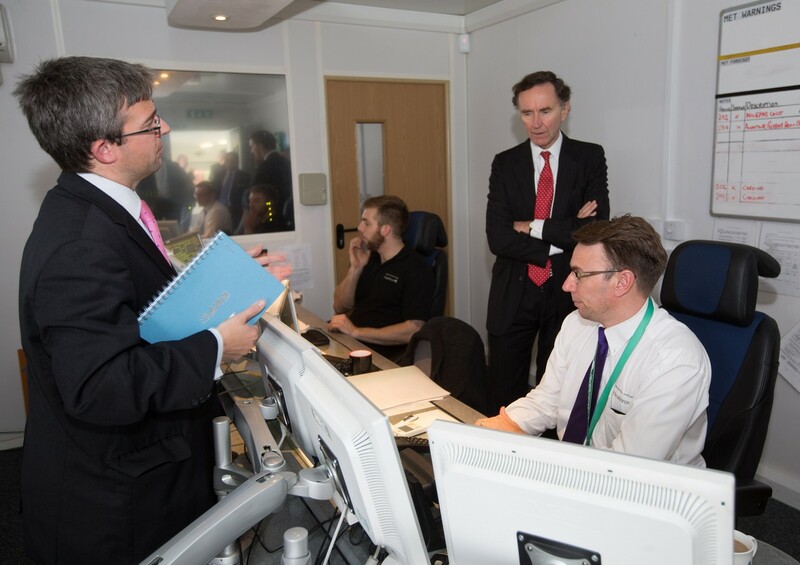 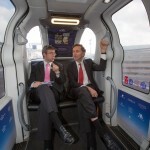 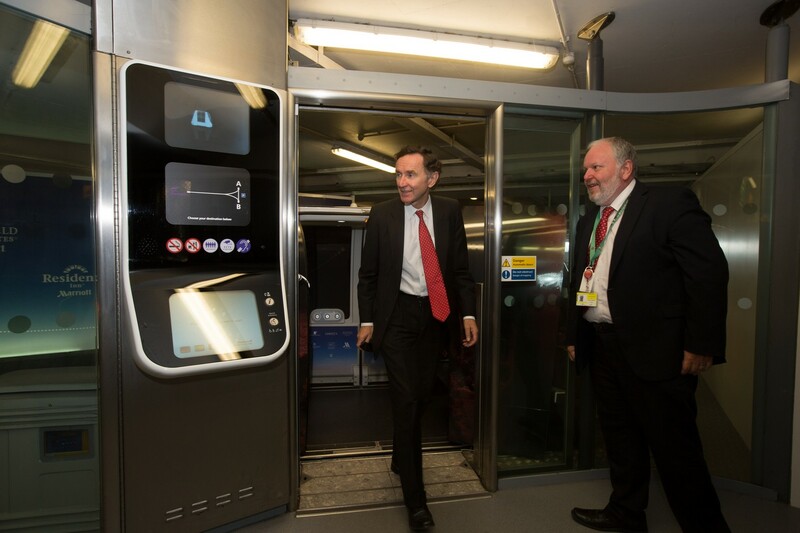 In addition to a visit to the control room the Minister was able to take a return trip on the pods which have provided close to a million passengers with a link between Terminal 5 and the terminals designated Business Car Park. 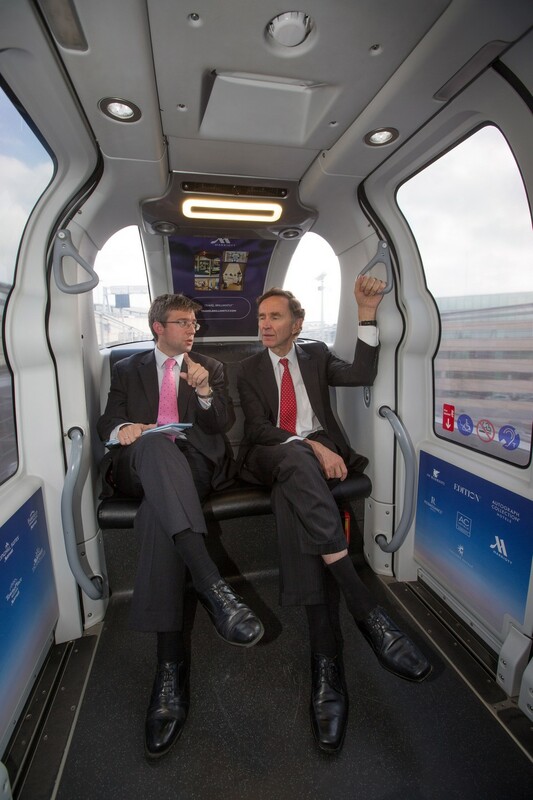 The pioneering technology which uses small driverless electric vehicles that run on dedicated guideways has successfully been in operation at the airport since May 2011. 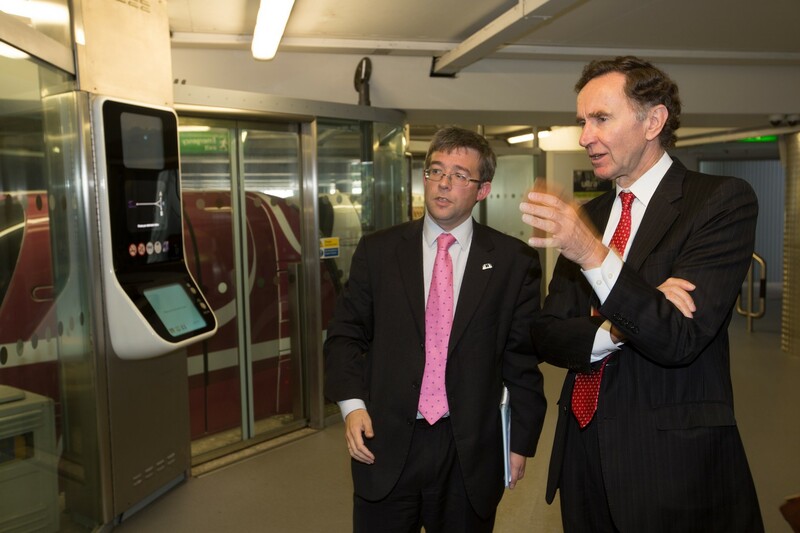 In addition to the tour, Ultra’s Managing Director Fraser Brown welcomed the opportunity to share news of Ultra’s work with the minister including updates on projects in Brazil, India, Malaysia and Taiwan. 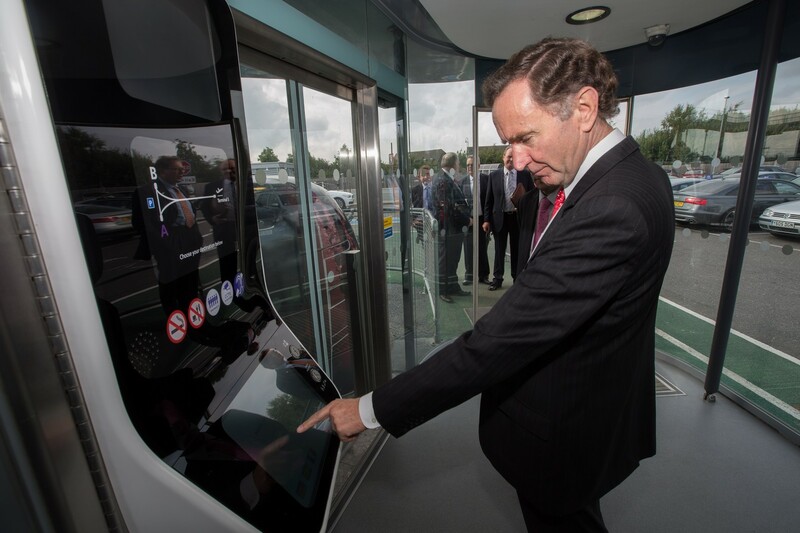 The visit was also an appropriate occasion for Mr Brown to thank the minister for the tremendous support provided by Lord Green’s team at UK Trade and Investment (UKTI) who have helped promote Ultra’s technology so successfully in a number of international markets.